Massively has an article up asking readers how long they’ve been playing MMOs/MMORPGs. 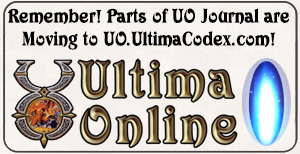 Plenty of their readers did get their start with Ultima Online. There is a very interesting article at Gamasutra (short version and long version) with Rich Vogel who was an associate producer at Origin in the 1990s and who is now working at BioWare Austin on EA’s next MMO, Star Wars: The Old Republic. 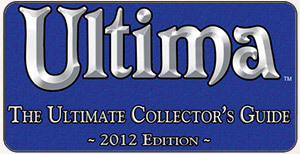 What was your role on Ultima Online? RV: I was an associate producer and my job was to get the game together in a shippable state and make sure that it had everything it needed to be an online game. At the time Origin didn’t really have the experience of ever making an online game before. So there were lots of things that were not there when I got there and needed to be there, such as all the customer support tools and making sure the game mechanics looked good and forward advancement. We were kind of pressured on time. I wish we’d had a little bit more time. We could have actually put some of the things we wanted to put in that game. But unfortunately when you have a game like that you have core mechanics that are very difficult to change once launched. The full interview is a good look at the other side of UO – how Origin and the developers saw things, how they worked against them, how they knew there were problems with certain things such as PKing or economics.